On 29 March 2019 the UK is scheduled to leave the European Union. 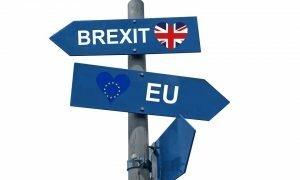 Yet, the outcome and modalities of the UK’s departure are more uncertain than ever and the future relationship between the UK and the EU remains highly indeterminate. Join our panel with distinguished scholars from across Europe to look beyond the headlines, dissect the Brexit process and consider its consequences. Friday 29 March, 17.30 – 20.00 at FASoS. Register online. The programme is also available in PDF.